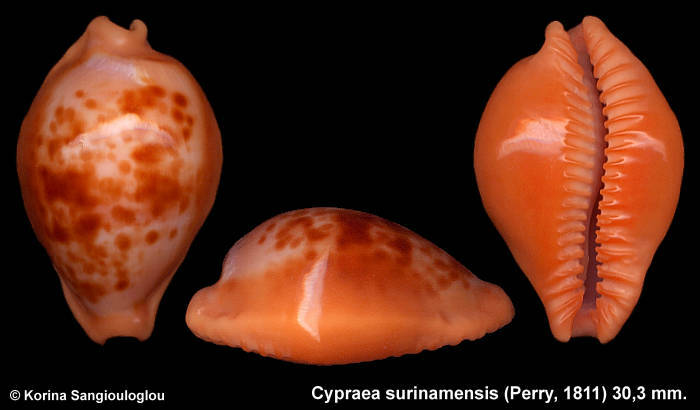 Cypraea surinamensis Perry, 1811. 30,3 mm. to posterior canal dose not detract from it's overall beauty.